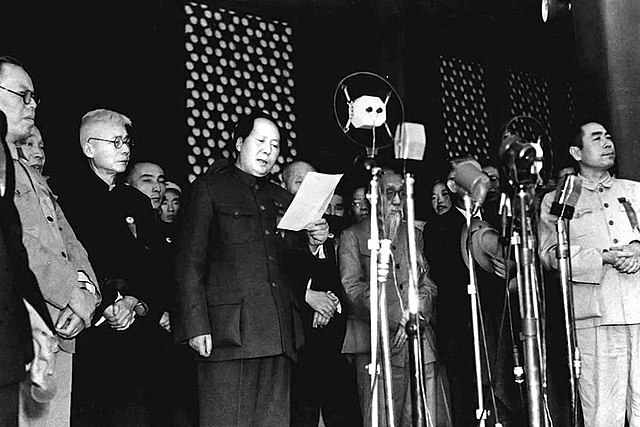 This year marks the 47th anniversary of the monumental Shanghai Communiqué issued by the United States and the People’s Republic of China on February 28, 1972. 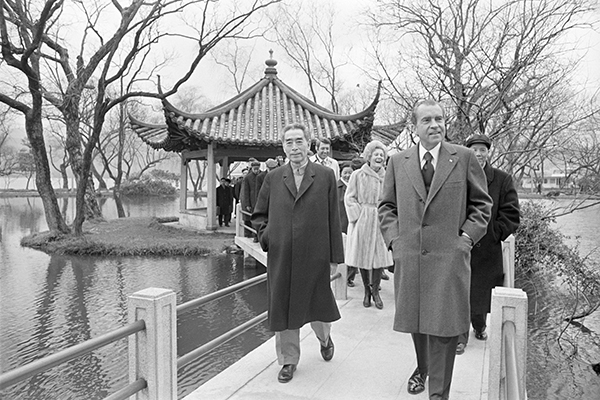 The document, hammered out by China’s Premier Zhou Enlai and US President Richard M. Nixon and their respective teams has stood for just under half a century as the bedrock for US-China relations, and for a clear and un-ambiguous understanding of the status of Taiwan. There were, in fact two more communiqués issued by the two parties that form the understanding and intent of China and the United States regarding their interests in the Asia-Pacific region. The second communiqué was issued on January 1, 1979 and dealt with the recognition by the United States of the fact that the PRC was the legal government of China and that there is one China and Taiwan is part of that China. At this time the PRC issued a Message To Compatriots in Taiwan calling for peaceful reunification with the mainland. (The 40th anniversary of the sending of this message was noted in a speech this year by President Xi Jinping who reiterated its message.) The third joint communiqué as issued on August 17, 1982 dealt with arms sales to Taiwan, and while the issue was not fully resolved, the US promised to decrease these sales. US Turning Back on Agreements? 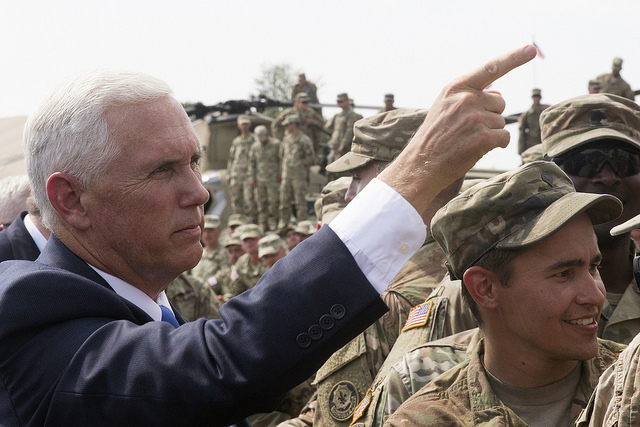 Recent actions under the current US Trump administration seem to suggest that the US is turning back on the spirit, if not the letter of the Shanghai Communiqué and the two subsequent communiqués. The clearest sign of a change in attitude and policy by the US government was the passage and implementation of the Taiwan Travel Act on March 17, 2018. This document states that there have not been enough high-level communications between Taiwan and the US. 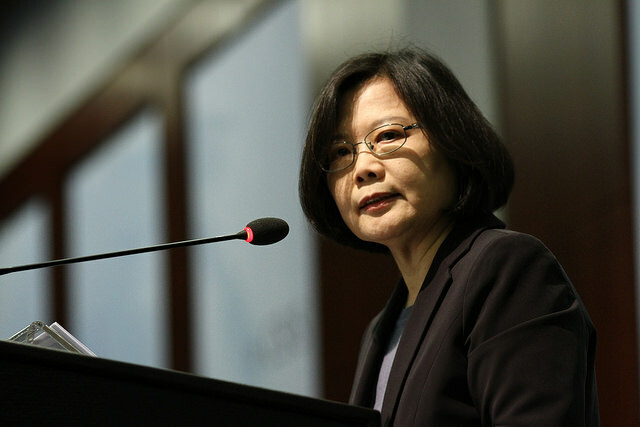 The remedy is to encourage high-level officials of both the US and Taiwan to visit the other. Another strong indication of a shift in US policy was the passage and signing, on December 31, 2018, of a bill entitled the Asian Reassurance Initiative Act, which reiterates in detail the US Indo-Pacific strategy and authorizes US$1.5 billion to make the Indo-Pacific strategy a reality. Section 209 of this act specifically deals with Taiwan and stipulates that the US will continue to supply arms to Taiwan to meet “existing and likely future threats from the People’s Republic of China…” This, of course goes against, at least in sprit if not in act, to phase out arms sales to Taiwan as agreed to in the Third Communiqué on August 17, 1982. Add this to the US$256 upgrade of the American Institute in Taiwan, which Reuters describes as “a de-facto embassy” and you have a pattern where actions seem to speak louder than words. What is your opinion on this matter? Please log in and let us know. 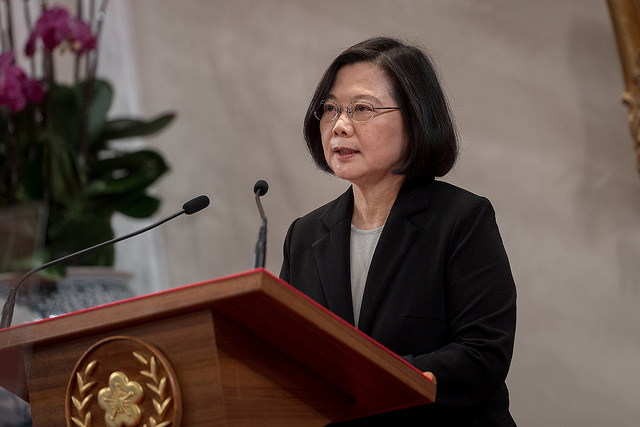 Both China’s President Xi Jinping and Taiwan’s President Tsai Ing-wen delivered New Years addresses on January 1, 2019. 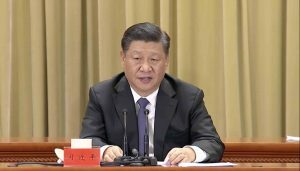 Mr. Xi’s speech was fairly standard; he talked about achievements in the past year and plans for the coming year about China’s achievements in both its economy and its space program and the coming 70th anniversary of the PRC. Tsai Ing-wen’s New Years Day speech recapped 2018, much as Xi Jinping’s speech did. She covered the recent Taiwan elections and said that it most surely was not a referendum on Taiwan sovereignty. 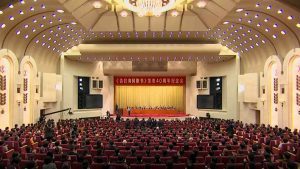 President Xi Jinping gave another speech the following day, January 2, 2019 at the Great hall of The People in Beijing. The occasion was the 40th anniversary of issuing the Message To Compatriots in Taiwan, which was sent by The Standing Committee of The People’s Congress on Jan 1, 1979. The first two days of January 2019 seemed to sum up the positions of both Taiwan and the PRC and set the tone for the year to come.It is clear that the PRC is adamant about Taiwan’s re-integration into the Motherland, and Taiwan is equally adamant that this will happen. How things will move forward is anybody’s guess, and the pressure is rising–it may not be at the boiling point yet, but there seems no chance for cooling off, at least not in 2019. Please let us know your thoughts on Taiwan and the PRC. 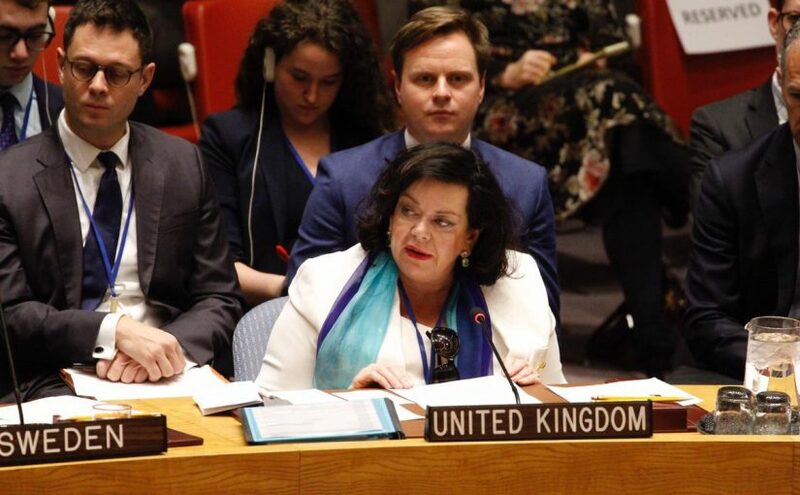 On December 12 at the United Nations in a speech titled Participating in the JCPoA and ending Iran’s destabilising regional behavior, UK Permanent Representative to the UN Karen Pierce laid out the UK’s current position on the Iran question. The ambassador then explained that according to the UN report dated 12 November 2018, Iran is in full compliance with the terms of the JCPoA, and for that reason the UK, France and Germany continue to work toward Iran getting the benefits of honoring the JCPoA. The Europeans have created a European Special Purpose Vehicle to enable Iran to do this. The second half of Ambassador Pierce’s speech was a denunciation of Iran’s missile program in violation of UN Resolution 2231, as well a denunciation of its destabilizing activities in the region to include its involvement in Syria and Yemen. Finally, the UK urged Iran to take its place in the world community and reap the benefits of that action, and at the same time stop its destabilizing activities and military adventures. In providing encouragement for this to happen, the UK continues to support the JCPoA in hopes of Iran choosing a different future for itself. The UK position outlined by Ambassador Pierce is really the basis for the original 2015 “Iran nuclear deal.” The United States has withdrawn from the agreement, damaging its credibility on the world stage and threatening to further destabilize the region by pushing Iran toward the very nuclearization the JCPoA was set up to stop. The UK position is both rational and intelligent; it supports Iran’s integration into the wider world community, but at the same time strongly condemns its regional adventurism. This is the exact opposite of the Trump administration’s policy which employs severe punitive measures in the form of sanctions to get Iran to re-negotiate the agreement and to cease its regional adventurism. As we have observed previously, Iran, like Cuba will bend but not break under the weight of sanctions, which are ultimately counterproductive, and only create great hardship for the common people of Iran. Britain has taken a courageous, nuanced, and firm stand regarding Iran. It is a pity that its oldest ally, the United States, under its present leadership cannot see the way to do the same. Please let us know your thoughts on this issue. Included below is the full text of Ambassador Pierce’s speech delivered at the United Nations on 12 December 2018. Photo: United Kingdom Mission to the United Nations via twitter. Thank you very much indeed Mr President. Thank you for scheduling this debate. And we’re very grateful to Secretary Pompeo for taking the time to be here today. This debate comes at a very important moment. The world is an unpredictable place right now and the developments we’re going to discuss today risk making it more so. I’d also like to join others in thanking the Under-Secretary-General and in thanking the Dutch Representative and his team for all the work they have done on 2231. Today’s agenda Mr President, is the implementation of that resolution. That resolution was an endorsement of the JCPoA but throughout the negotiations and at the adoption of the resolution, we were clear that the Council was not only addressing nuclear issues but continuing to impose binding restriction to curb Iran’s ballistic missile and proliferation activity because it threatens the region and beyond. I just want to stress Mr President, the point about the ballistic missile proliferation is not solely about nuclear missiles, notwithstanding that there is a link with nuclear capability. Any conventional payload would cause extensive harm to civilians and infrastructure and Member States in the region Mr President, will naturally be deeply concerned about being confronted by such a threat from Iran. In itself it heightens instability in the region and it heightens the risk of miscalculation. And as Secretary Pompeo said the international community has been trying to curb this activity since at least 2006. Mr President if I may, I’d like to set out the policy of my government towards Iran. We are motivated by three objectives. Firstly and most critically, to uphold the global non-proliferation regime and prevent Iran achieving a nuclear capability that would threaten the Middle East region and Europe beyond it. Secondly, to constrain Iran’s destabilising actions in the region. And thirdly, to encourage Iran to normalise its economic and diplomatic relations with the region and the West and assume its rightful role as a responsible power, constructively engaged. The United Kingdom participated in negotiations on a nuclear deal with Iran to secure the first of those objectives. And we believe the JCPoA has done so. It remains critical for our national security and we believe for the shared security of our partners and allies. And I agree with what the French ambassador said on the way forward. We were also clear that the nuclear deal contained elements designed to encourage Iran on a path to normalcy in its trade and diplomatic relations with the outside world. The Secretary-General’s report records Iran continues to comply with its nuclear related obligations and the IAEA confirm this in their report of 12 November. We expect this commitment to continue and we look to Iran to continue to abide by its obligations under the deal in full. So our first objective Mr President continues to be met and for this reason the United Kingdom, together with France and Germany, have been working to ensure that Iran continues to receive the economic benefits from sanctions relief agreed as part of the nuclear deal. To this end, in September we announced the creation of a European Special Purpose Vehicle to help facilitate this. This work continues and we hope to announce further progress soon. There remains however much work to do towards the second objective: the ending of Iran’s destabilising regional behaviour. And no one should be in any doubt Mr President about the strength of our concern and the strength of our commitment to tackle that and the fact that compliance with the JCPoA – important as it is – for all the reasons the French Ambassador set out it is not a licence to engage in destabilising behaviour elsewhere, whether or not that has a nuclear link. Iran cannot, Mr President, expect to improve its relations with the rest of the world or ensure its economic prosperity and security while pursuing its current path. Business will not invest and public finances should be spent at home and not diverted to adventurism abroad. The briefing given by the Under-Secretary-General today has been very clear and the findings in the Secretary-General’s report should continue to trouble this Council. As the report notes, the United Kingdom along with our E3 partners raised our concerns over recent Iranian ballistic missile launches into Syria in a letter on 20 November. Since then as the Security Council discussed on 4 December Iran has test fired a medium range ballistic missile with a capability falling under MTCR Category 1. This latest launch like those referenced in the E3 letter is inconsistent with Security Council Resolution 2231. Now Mr President, we heard a number of arguments when we met before to discuss this issue in consultations. I’m sure we’ll hear many of those arguments again today so I’d like to address them briefly if I may. Some colleagues have made the point that the language in Resolution 2231, OP7 and Annex B Paragraph 3 are not binding. The second plank of that argument is that the Council should therefore not concern itself with Iran’s behaviour because we argue it’s inconsistent with it. Mr President, we believe that’s an extraordinary but it’s also a flawed argument for two reasons. Leaving aside the question of whether the language is legally binding or not, this Council has the power to make recommendations to Member States with a view to resolving any matter that threatens the maintenance of international peace and security. It is clear that these recommendations should be taken seriously by Member States rather than openly flouted. The call upon Iran to comply with the request not to undertake any activity related to ballistic missiles designed to be capable of delivering nuclear weapons has a clear purpose and that purpose Mr. President, is to reduce international and regional tension. In defying the Council’s clearly expressed view Iran is, to say the least, not contributing to the stability of the region. Rather she is ignoring the expressed wishes of this Council. Tendentious arguments which seek to diminish the Council’s voice on this serve only to undermine the Council’s prerogative and authority and to encourage other States to disregard the resolutions of the Security Council. We should all Mr. President be deeply concerned by such irresponsible behaviour. Another fallacious argument which I’m sure we’ll hear today is that the MTCR is irrelevant, that it is only an arms export regime. Mr President, the MTCR is itself an important part of international efforts against proliferation. MTCR Category 1 which describes a platform capable of delivering first generation nuclear weapon commonly defined as around 500 kilograms minimum to a distance of 300 kilometres. So it matters that Iran test fired a ballistic missile with a capability that falls under MTCR Category 1. These missiles are not harmless tools of self-defence; they are a source of concern and they are included in this resolution because if Iran were to develop a nuclear weapon these missiles would be its delivery vehicle. They therefore not only threaten the region but Europe and potentially others beyond. Testing them is provocative and the Council should respond. Therefore Mr President, let me say that we demand Iran ceased activity that defies Resolution 2231. We demand that Iran and all Member States fully comply with the resolutions prohibiting the proliferation of missile technology to and from Iran – on which by the way there is no doubt that these are indeed legally binding. And our second objective, we note with deep regret but also concern that throughout the region Iran continues to play a negative role, supporting non-state actors that undermine the stability of its neighbours. On Iran and Syria, Iran has been the key supporter of Bashar al-Assad’s murderous seven-year campaign. Militias funded and controlled by Iran have been integral to Assad’s military campaign to retake opposition-held territory, committing gross abuses of human rights in the process. Iran has proactively shipped weapons systems into Syria, inflaming tensions with its neighbours as well as violating the provisions of Resolution 2231. For example Mr President, in just the past week, Israel has had to take action to prevent Iranian-backed Hezbollah militants tunneling under its borders. These Hezbollah activities are a clear violation of Security Council Resolution 1701 and they are further evidence of Iran’s destabilizing activity. The United Kingdom condemns the existence of these tunnels. They threaten Israel and Lebanon. The violation of Israeli sovereignty is deeply concerning and moreover, Mr President it takes Iran’s destabilising activity literally to new depths. In Yemen we are watching the ongoing talks in Stockholm carefully and we welcome the attendance of the Houthi delegation. And I accept Mr President, it’s important to note that Iran has expressed its strong support for the talks in Sweden. But the situation in Yemen remains of serious concern and the Secretary-General reports today includes information about ballistic missiles fired at Saudi Arabia by the Houthis as well as anti-tank and surface-to-air missiles recovered in Yemen. These weapons have characteristics and components consistent with those known to be manufactured in Iran. Mr President, I have had in the course of my recent work I have been to Tehran to discuss many of these issues with the Iranian leadership and each time I’ve been clear that this habit of testing weapons that threaten her neighbours defy the Council by exporting weapons and militias around the regions makes it very difficult to see how Iran can play a constructive role in her region. And it means that she has no legitimacy when complaining when this Council puts such behaviour on its agenda. Mr President I have long said that Iran has legitimate security interests in the region; we recognise that. But the way Iran goes about pursuing those interests is leading to increasing destabilisation and is simply not legitimate in the modern world. A different approach is available to Iran that concentrates on reintegration into the economic community of the world and into the world of diplomatic engagement. We support Iran in seeking to benefit from economic development. We won’t have to fulfil her undoubted potential as a vibrant economy and an important power. But these are not unconditional goals Mr President; Iran can never achieve these objectives without a vital change in approach on the issues I’ve mentioned here today. Iran needs to take steps to address the concerns of this Council seriously and to recognise that its expeditionary and expansionist security doctrine will only provoke more challenge and lead to greater instability within the region. This is why Mr President, the United Kingdom together with our European partners will continue to participate in the JCPoA. We will continue to work with everyone to convince Iran to take a radically different approach to the region and help secure for herself a more prosperous future. US Sanctions on the Islamic Republic of Iran will “snap back” on November 5, 2018. The ailing Iran economy is expected to be heavily impacted, and Iranians are already protesting the move. US President Donald Trump used his executive powers to pull the US out of the JCPOA or “Iran nuclear deal” because he considered it a bad deal, and that the funds released by the lifting of sanctions would be used to fund Iran’s military activity in the region. The administration also felt that the deal itself was really not “comprehensive” because it did not include Iran’s missile development program although that program was not part of the 2015 agreement. 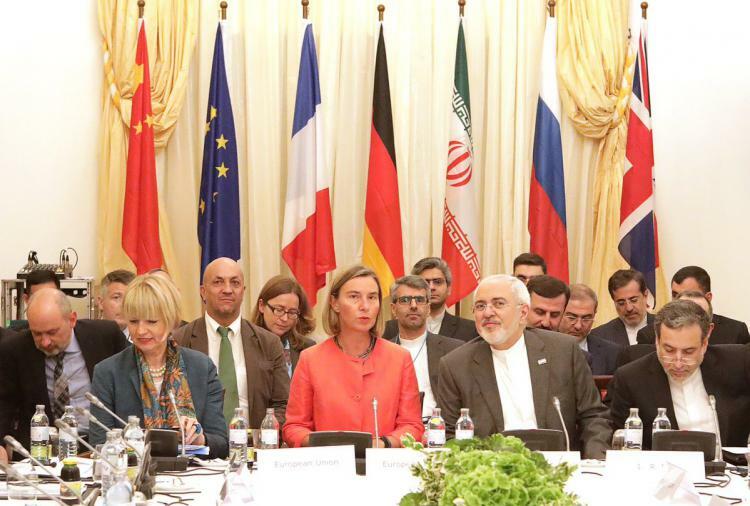 The other parties to the JCPOA including the EU, UK, France, Germany, Russia, and China have been working to try to save the deal despite the withdrawal of the United States. This has generally been tough going since global businesses mainly use US dollars and many European companies fear sanctions against themselves and their US operations. This has caused many countries to pull out of agreements that were just getting going after the lifting of sanctions in 2015. In an effort to save the JCPOA, the Europeans are in a process of setting up a Special Purpose Vehicle to allow their companies to continue to trade with Iran. This entity would not be a bank, and would not use US dollars. Another idea is to use barter for goods, a method that will be employed in “humanitarian” exceptions to the sanctions. Another work-around would be to use currencies other than US dollars for trade. It does not take a lot of forethought to see that this will not happen. Iran has survived sanctions before, and just as in the case of US sanctions on Cuba, the sanctions only rally the people to the side of the government, and the country survives in an atmosphere of depravation and self-reliance. Already the sanctions are somewhat porous in that the US will give 8 countries waivers to continue to import Iranian oil for the short term. Finally, many consider that US actions in pulling out and reposing sanctions has seriously damaged US credibility and prestige. In short: the US cannot be trusted to honor its word given in an internationally sanction treaty. Time will tell what happens with Iran-US relations, and with US-European relations that appear to be rapidly cooling. Please let us know your thoughts on this issue. 2018 Marks the 69th anniversary of the People’s Republic of China. It has been a tumultuous seven decades since Mao Zedong stood atop Tienanmen square and declared that the Chinese people have stood up. The nation has moved from war to peace and from foreign intervention to total self-sovereignty. The economy after a rocky start has become one of the strongest in the world, and is now ranked at #2. President Xi Jinping has proposed a grand vision in creating an even better life and society for the 21st century and beyond. 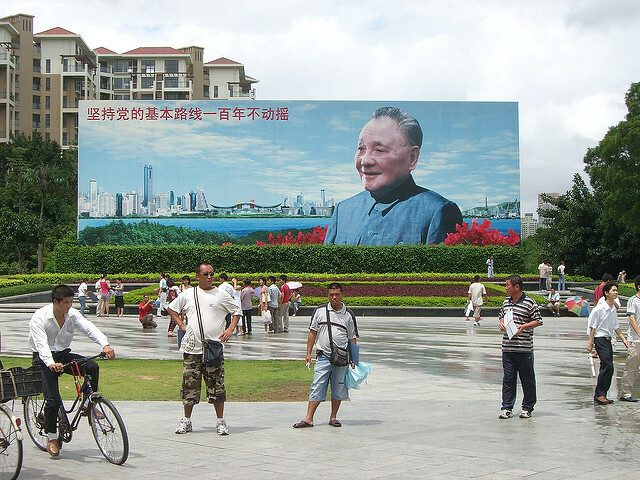 The future holds much in store for the PRC and the Chinese people. What do you think will happen in China and in the world in the next 80 years? Please let us know your thoughts. PRC Rejects US Iran Sanctions. Q: Bloomberg said that China rejects the US request to cut the Iran oil import. What’s your comment? A: We have responded to similar questions many times before. 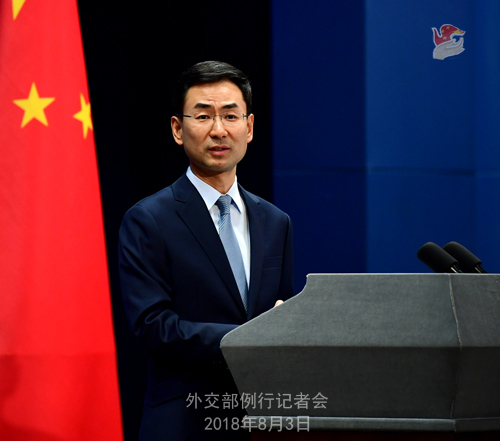 China and Iran, under the precondition of not violating their respective international obligations, have maintained normal exchanges and cooperation. This is reasonable, legitimate, legal and beyond reproach. Meanwhile, China is always opposed to unilateral sanction and “long-arm jurisdiction”. China’s legitimate rights and interests should be upheld. This position is firm and clear. In an article on August 9, the Tehran Times reported that China buys roughly 650,000 barrels / day from Iran at a cost of around $15 billion annually. 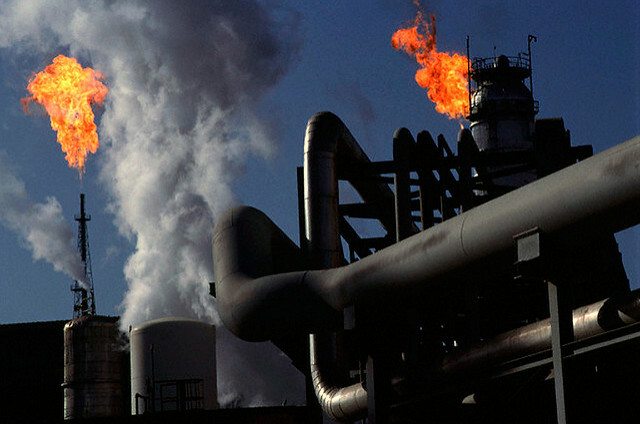 It also reported that Iran’s CNPC and China’s Sinopec have significant joint ventures in Iranian oil fields. China’s refusal to honor US sanctions is in line with its efforts to help save the JCPOA or “Iran nuclear deal” along with the original signers (China, Russia, EU, UK, France Germany and Iran) after the US’s unilateral withdrawal from the accord. For its part, China seems committed to the continued support of the JCPOA and to keeping Iran in the 2015 deal despite US sanctions. Will China, Russia, and the Europeans be able to do this? Please let us know your thoughts on this. Photo: Ministry of Foreign Affairs PRC.